A storm system will continue to bring snow for California’s Sierra Nevada range, stretched northeastward into the mountains of Idaho, Montana, and northwest Wyoming through Thursday. Look for many areas to get 8-12” with isolated spots up to 24”. This same system opens the door for a briefly colder Friday and Saturday in Colorado and Utah, allowing snow to fall in time for the weekend. In Utah/Colorado look for a modest 4-8” for most everyone. The weekend itself looks fantastically-pleasant for the West with sunshine returning for most mountains. There could be a few light, lingering snow showers for the Colorado Rockies. Get out and enjoy those gorgeous spring days. By the first week of April, a weak storm system will drop in from the northwest, spreading snow once again to the mountains of Idaho, Montana, and northwest Wyoming through Wednesday. That storm could bring another 6-8” of snowfall for many central-western states. This week we love Homewood, Northstar, Grand Targhee, Big Sky and Red Lodge. Last week featured a spring storm for the Northeast that brought crazy amounts of snow across New York, Vermont and New Hampshire. Warmer weather will now take us through the end of March to enjoy this recent snow. By the weekend, a strong cold front will push through the Northeast. What will probably start as rain, will turn back into snow by Sunday, especially for northern New York, Vermont, and New Hampshire. A few quick inches of snow will fall, likely around 3-6”. 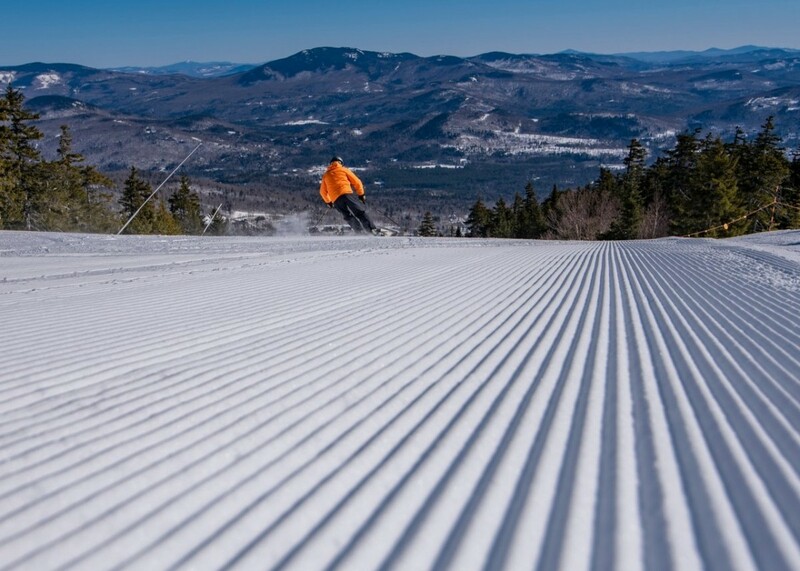 Look for amazing spring skiing conditions for the rest of this week in the Northeast. Enjoy it while you can- looks like most of the U.S. will start to see likely warmer than normal conditions by the first and second week of April. This week we love Belleayre, Burke, Wildcat, Mont Blanc and Le Massif de Charlevoix.